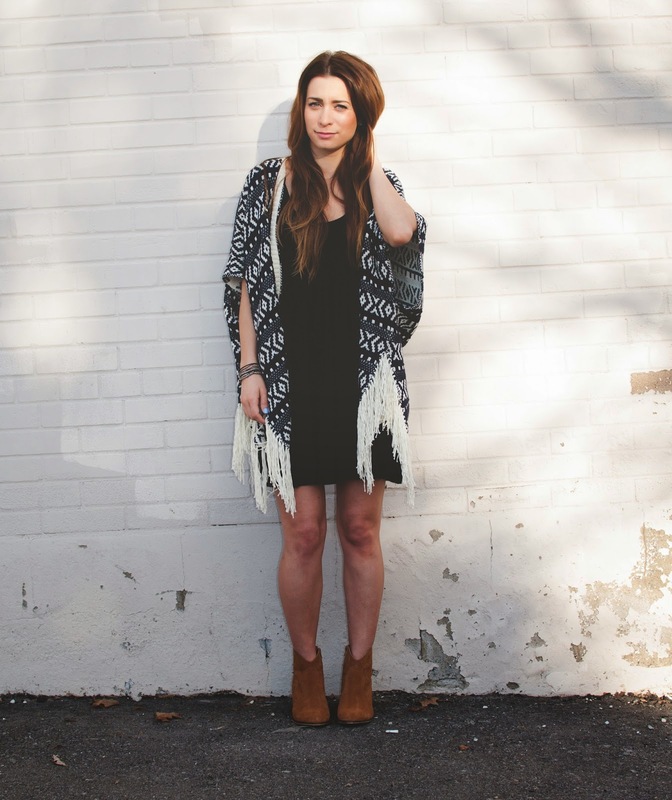 OOTD - Casual Friday | La Petite Noob | A Toronto-Based Fashion and Lifestyle Blog. Happy Friday, Noobs! One of the perks of having a crazy job, with crazy hours is that I often have days off during the week - Friday included! Saturday is my birthday, and I have a jam packed weekend ahead of me starting with festivities this evening. Knowing that I have a long, crazy night ahead, I wanted to wear something simple and casual for a day of errands. This wool kimono one item that I have been seriously obsessing over - oversized, comfortable and warm, perfect for cool Spring weather. Pair it with the simplest of black dresses, and some casual boots and you've got yourself an outfit worthy of a casual Friday. Read on for outfit details and additional photos. Any item of clothing that you can just throw on with minimal thought always receives a thumbs up from me. This wool kimono has seen lots of heavy rotation, specifically to add something special to a simple outfit like this one. I also have big plans for it to keep me warm during the upcoming Summer music festivals here in Toronto, and all over Ontario. Do you have a casual Friday go-to look? Happy Friday and cheers to a great weekend ahead! Love this flower child-esque outfit! I need me one of those ponchos! Happy friday! Thank you! 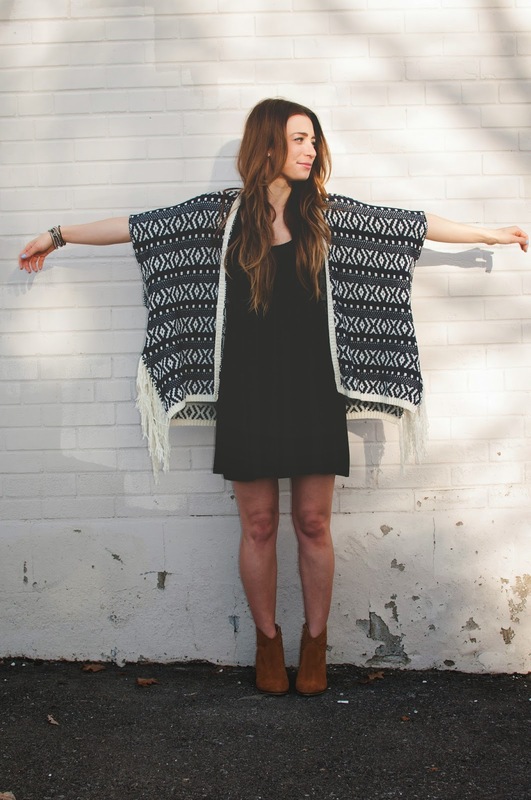 Yes, I've been loving these ponchos and kimonos that seem to be everywhere now. Definitely go and pick one up, they're so versatile! I could never pull off that kind of outfit, but it looks great on you! I'd love to hear more about your job sometime. Maybe one day I will go into more detail about my job - I do kind of like that the blog is a bit of an escape from it though, so it might be far in the future! haha. E-mail me if you ever have any questions. Such a cool and comfy outfit!! It suits you so well !! I especially love the cardigan! And happy birthday for tomorrow!! This is definitely an outfit that I would wear. The open cardigan is all kinds of fabulous. I LOVE the cardigan - it's perfect! You look fantastic and this is definitely a great casual Friday (without being too casual) outfit. Thank you! Yes, this is definitely a more 'blog appropriate' casual friday - my actual casual outfit would be a sweat suit lol!